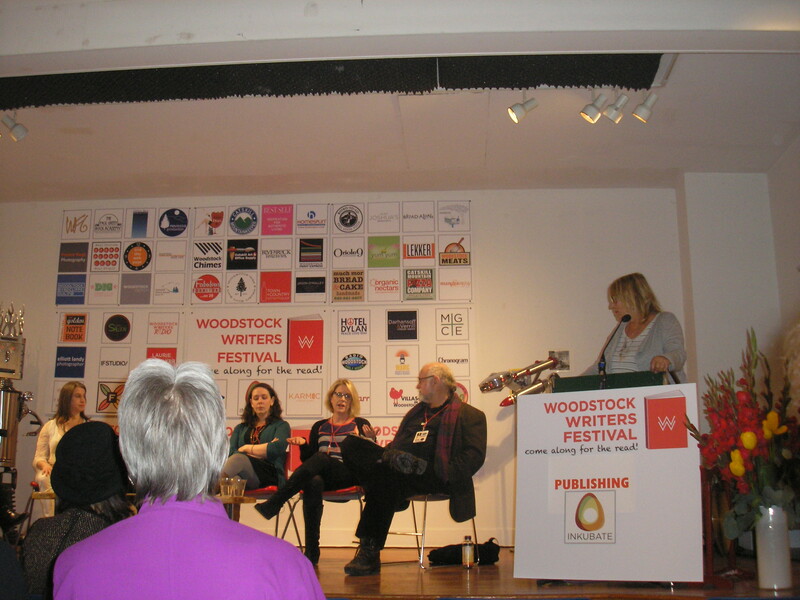 The Publishing Panel at the Woodstock Writers Festival this year. 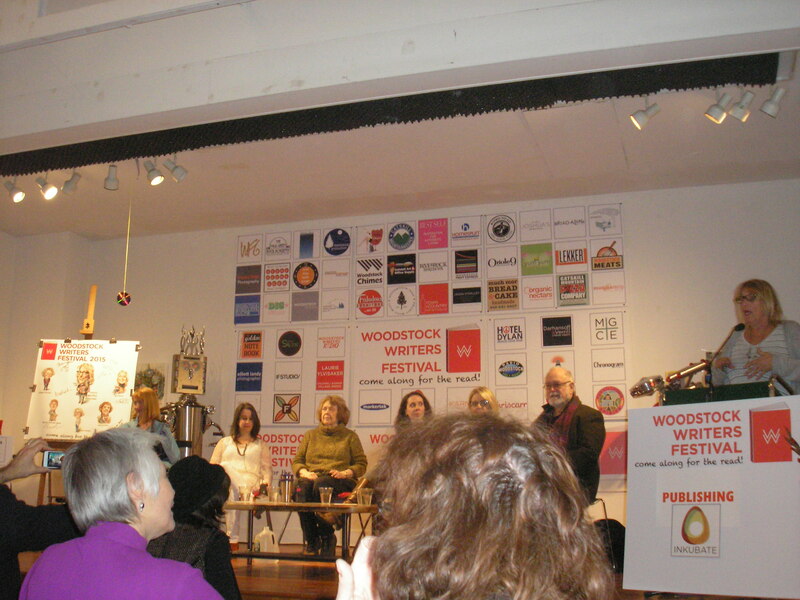 Panelists included: Sara Carder, editorial director at Jeremy P. Tarcher, an imprint of Penguin Random House; Mary Cummings, vice president and editorial director of Diversion Books, a digitally focused publisher in New York City; Gail Godwin, bestselling author, three-time National Book Awards finalist; Ned Leavitt, literary agent; Jenny Milchman, novelist (Ballantine / Penguin Random House); and Nan Gatewood Satter, editor. 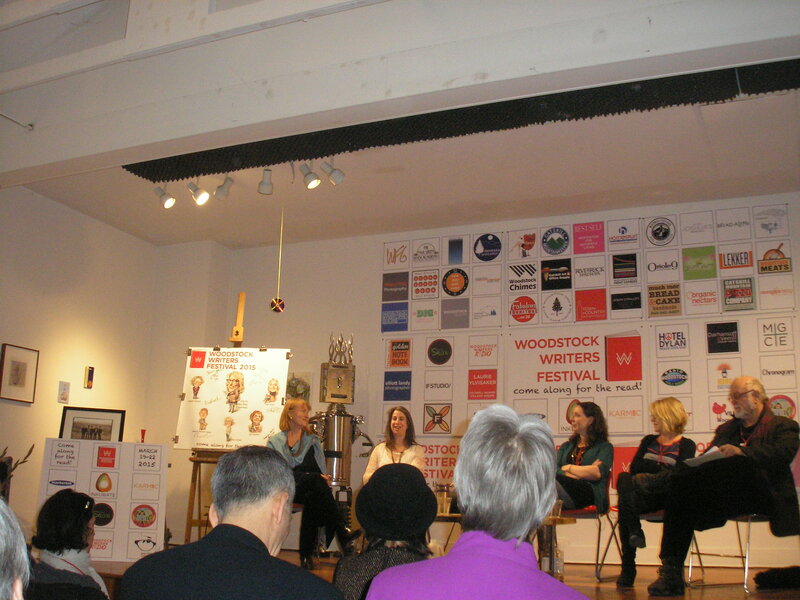 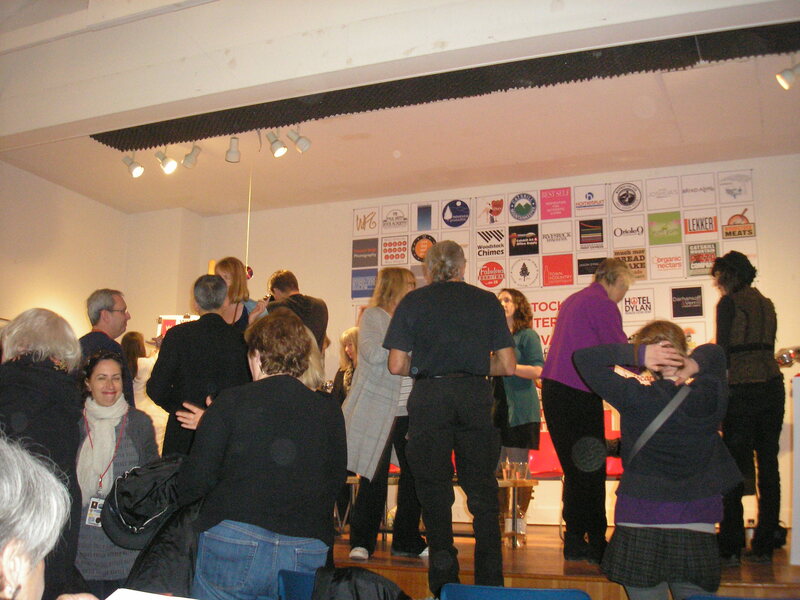 Satter also moderated the panel, along with Martha Frankel, author and the executive director of the festival.